This is a practical guide to the use of TEE in cardiac surgery covering the fundamental scientific principles and clinical applications. The enclosed CD ROM contains moving echo images in colour showing various abnormalities as seen with TEE. 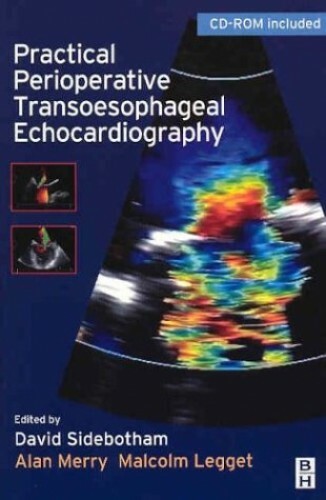 Transoesophageal Echocardiography is routinely used for perioperative and postoperative monitoring of cardiac surgical patients. This book is a practical guide for the anaesthetist, intensivist, or cardiac surgeon covering the principles and techniques of diagnosis and monitoring. The authors have covered the fundamentals, including the basic physics and measurements, and principles of examination. The role of TOE in cardiac surgery is explained followed by chapters addressing the monitoring of each cardiac structure and abnormalities. This highly practical, illustrated guide will appeal to anaesthetists, intensivists and cardiac surgeons, both in training and in practice. It will also be of interest to sonographers, cardiologists and cardiology trainees involved in the management of cardiac surgical patients.